Norton Point wants you to “sea” ocean pollution a little differently. Based in Martha’s Vineyard, Mass., the burgeoning eyewear company has created a line of sunglasses derived from high-density polyethylene marine debris. Norton Point won’t run out of feedstock any time soon; there are about 46,000 pieces of floating plastic in every square mile of ocean, according to the United Nations Environment Programme. That same plastic, the organization adds, is responsible for the deaths of over a million seabirds and more than 100,000 marine mammals each year. It’s these troubling statistics that led Ryan Schoenike and Rob Ianelli to search for a solution. “We believe that plastic flowing into our oceans is one of our greatest environmental challenges,” Schoenike told Ecouterre. The firm has joined forces with Plastic Bank, a social enterprise from Vancouver that turns plastic waste into a source of income for people living in poverty in countries such as Haiti. “The Plastic Bank pays collectors in local communities a living wage to help reduce plastic waste,” Schoenike said. So why sunglasses? “Sunglasses have an inherent connection to the ocean and we felt that creating fashion forward, high-quality frames was a great way to help start a conversation and generate more awareness,” he said. Currently available on Kickstarter, where you can snag one of three styles at an early-adopter price of $79, each pair comes engraved with the latitude and longitude of where the plastic was collected. But reusing ocean plastic isn’t all Norton Point wants to do for the oceans. The company says it will donate 5 percent of its profits to assist with the marine-remediation efforts of nonprofits such as the Ocean Conservancy. Eventually, the company plans to fan out its sourcing to other locales around the world, say Indonesia, and create themed collections based on various pollution hotspots. “Our next goal is to work with our partners to establish collection in Asia where close to 60 percent of the ocean plastic comes from,” Schoenike said. Norton Point wants you to "sea" ocean pollution a little differently. 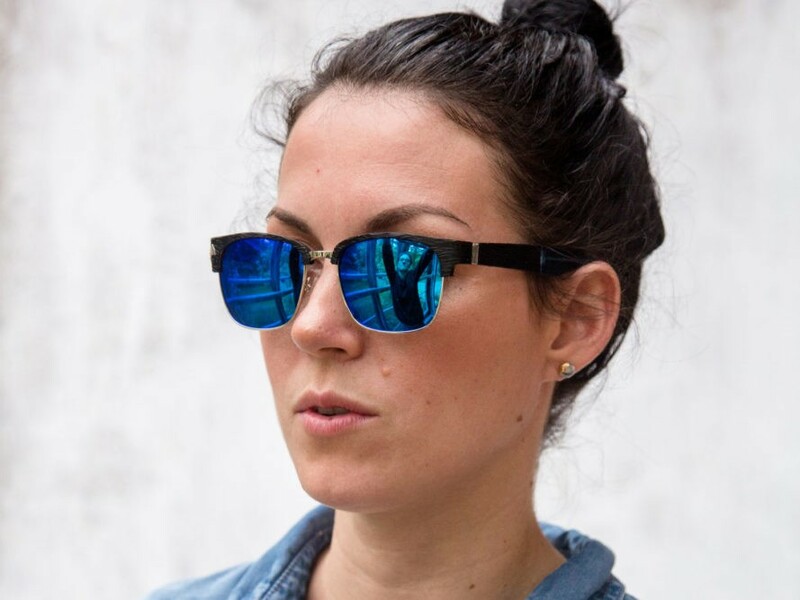 Based in Martha's Vineyard, Mass., the burgeoning eyewear company has created a line of sunglasses derived from high-density polyethylene marine debris. Norton Point won't run out of feedstock any time soon; there are about 46,000 pieces of floating plastic in every square mile of ocean, according to the United Nations Environment Programme. That same plastic, the organization adds, is responsible for the deaths of over a million seabirds and more than 100,000 marine mammals each year. It's these troubling statistics that led Ryan Schoenike and Rob Ianelli to search for a solution. "We believe that plastic flowing into our oceans is one of our greatest environmental challenges," Schoenike told Ecouterre.